We offer sightrunning tours of our nation's capital, including the famous highlights and the hidden gems. Our tours take runners to see the White House, Eastern Market, the Lincoln Memorial, the Washington Monument, Embassy Row, Capitol Hill, Chinatown, Foggy Bottom, Georgetown, and much more. We also offer a beer-themed run with Right Proper Brewing Company. Our runs cater to runners of most skill levels. Sign up for your run below, and let us show you around our gorgeous city! Join City Running Tours on a guided running tour of the largest historical neighborhood of Washington DC. Beginning at the Eastern Market Metro Station, your experience will take you past the Library of Congress, the U.S. Supreme Court, U.S. Capitol Building, Marine Barracks, and more. Enjoy this journey with us and get a history lesson about our great city from the perspective of a local runner. TERRAIN: Urban sidewalks. Strollers ok.
Join City Running Tours on a guided running tour through Chinatown, Shaw, and the U Street corridor, learning the history of the 1968 DC Riots and the profound impact they had on Washington, DC. The run begins and ends at the Chinatown Metro Station. Enjoy this journey with us and get a history lesson about our great city from the perspective of a local runner. Join City Running Tours on a guided running tour of one of Washington DC's best-known neighborhoods. Beginning at the Foggy Bottom Metro Station, this running tour will take you past the Watergate Hotel, Georgetown University, the beautiful Georgetown Waterfront, and more. Enjoy this journey with us and get a history lesson about our great city from the perspective of a local runner. TERRAIN: Urban sidewalks, Due to density of people along Georgetown stretch, strollers not recommended. ELEVATION: Generally flat, with some brief uphill sections. TOUR DURATION: From 40 minutes to an hour and a half, depending on runners' paces. 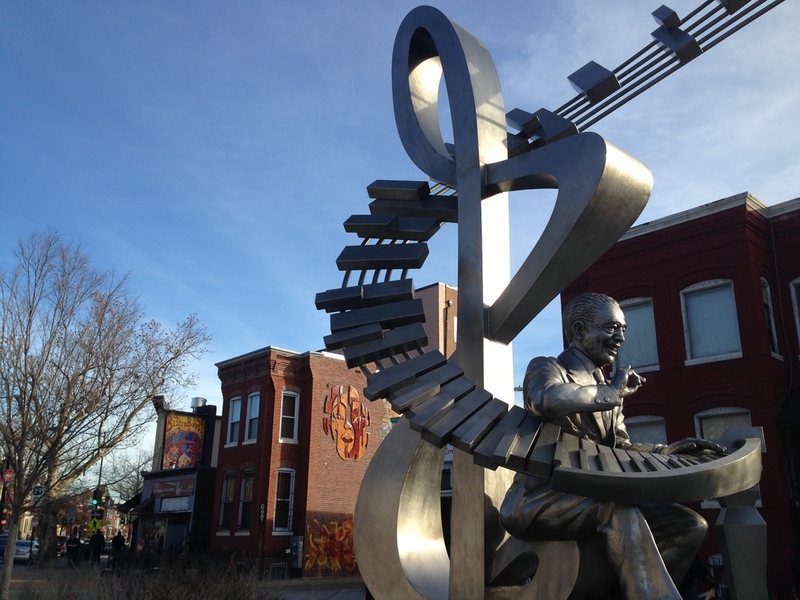 Explore some of DC's gorgeous neighborhoods off the beaten track. See historic Ledroit Park, Bloomingdale, and more. Let the extraordinary Basilica take your breath away. To reward you for your efforts, your tour concludes with a cool, refreshing pint at one of DC's newest breweries! Join City Running Tours on a guided running tour of some of the more unfamiliar sights of our nation's capital. Beginning and ending at the Dupont Circle Fountain, this route will take runners past Embassy Row, Georgetown, the National Cathedral, the United Stated Naval Observatory, and much more. Take this journey with us and get a history lesson about our great city from the perspective of a local runner. TERRAIN: Urban sidewalks. Due to density of people along Georgetown stretch, strollers not recommended. 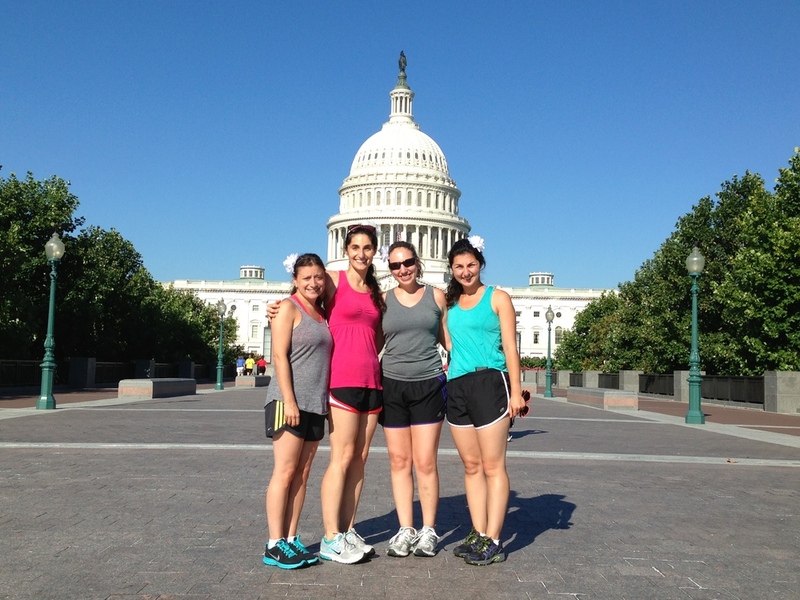 Join City Running Tours on a running tour to experience some of DC's most iconic sites. Your guide will provide an overview of the White House, then stream down Pennsylvania Avenue to reach the US Capitol, the Library of Congress, and the unique buildings of the Smithsonian. Visit the stirring war memorials. Stop for photo opps at the MLK Memorial, or take one with the Washington Monument soaring above you. You won't want to miss this must-see DC tour! TERRAIN: Urban sidewalks, brief dirt trail. Strollers ok. This group running tour takes runners through Dupont Circle and the U Street Corridor and explains the unique history of the Adams Morgan and Columbia Heights neighborhoods. Your knowledgeable guide will take you back to the Victorian age and swing past the French Ambassador's residence. Round out the tour with a stop at the site of the Reagan assassination attempt and head back to the famed Dupont Circle fountain. Home to more than 3,000 cherry trees, the Jefferson Memorial, Franklin D. Roosevelt Memorial, and the Martin Luther King, Jr. Memorial, the Tidal Basin is a unique feature of Washington, D.C.'s landscape and history. Join us for an evening run and enjoy some of our city's beautiful sunsets and gorgeous views!